Yesterday in church we sang “Lord, I Need You” and “We Are Hungry.”* Hundreds of voices joined in worship and praise as a talented team of musicians led the gathered congregation in these songs. But I wonder? Did we really mean what we sang? I seem to do pretty well in general, day-to-day life management. How many times during the day do I stop to acknowledge my need for God’s direction, wisdom or joy? Do I even think of Him after that time in the morning where I read my Bible, a few pages in a current “God-centric” book or a devotional? Is my prayer “I need you” or “I’m expecting you to show up IF I need you”? But the words that stand out to me in those descriptive verses in the second chapter of Acts are these: they had “sincere hearts.” Perhaps when they sang Hymn #27 from the Book of Psalms, The Lord is my light and my salvation—whom shall I fear?, the ones they feared carried spears and keys to the city jail. I suspect they sang sincerely. Maybe I’ll get into the habit of only singing the words and phrases in church that I truly mean. Or maybe from a sincere heart I’ll say, “Lord, I want this to be true of me. Please show me how to make it happen.” And then be on the alert for His action. This is an experiment. And an invitation. There are times when an empty bench like this one, surrounded by lush greenery with a river just peeking between the trees, calls to my soul. When days have been filled with people and appointments, when I can’t think of one more creative menu for supper, I just want to go sit on a bench. Over the coming months, that’s what I hope this blog will become. 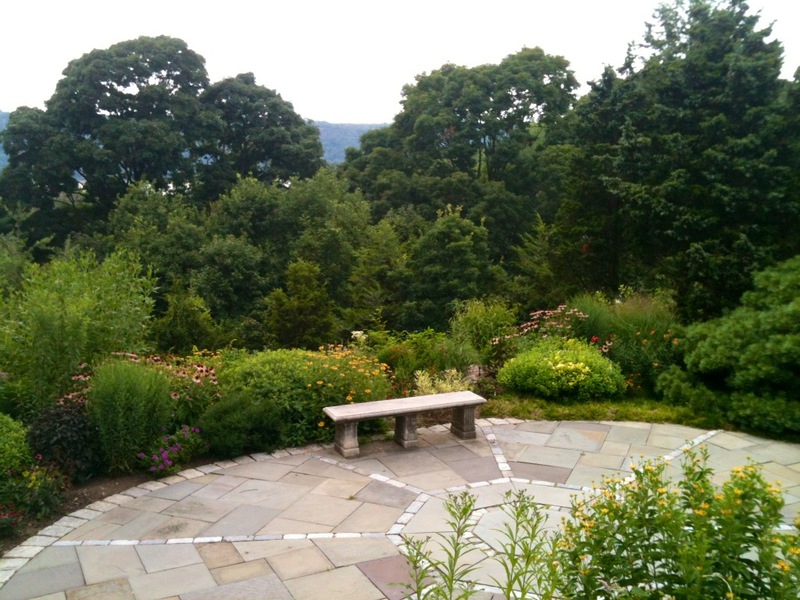 A quiet place to ponder, think, question, grow–with each other and with God. It’s been almost two years since I first felt “nudged” by God to expand the writing I’ve done over several years. To be honest, the idea of a blog scared me: who needs to read yet more paragraphs on line? so many blogs seem to be just wandering thoughts without content, do I have anything of worth to add to the blog world? After much thinking, praying and discussion with friends, I’ve decided to move ahead. Each Monday will have new thoughts–some will hopefully be helpful, all will have been birthed in my own heart and imagination. Maybe you’ll sit with me but more importantly, I hope you’ll sit with God. I look forward to these times together and trust you’ll communicate your thoughts with me. If you have difficulty responding via this post (or if you wish your comment to be private), I can be reached at mj56ehle@gmail.com.